In the hustle of building a business, launching a side gig, or climbing the ranks at your company, it’s easy to compare yourself to others. These mindsets lead to self-doubt, but a lot of self-doubt stems from a deeper-rooted competition. A competition with ourselves. Someone at a recent personal branding workshop I taught wrote me about this issue recently. My biggest competitor is myself. I consistently feel like I could be doing better in all aspects of life. If you have a hustler’s spirit, which I know you do because you’re reading this, you feel like you’re constantly in the trenches. It can be really hard to take a step back and acknowledge your performance and accomplishments. The problem is when you’re hustling, you always feel like you haven’t done enough. There’s always more to work on, more to chase, more to grind. I call it the Hamilton Drive. Throughout the musical, Hamilton’s drive is front and center. He’s always hungry, always wanting more. When he wanted to get public approval of the U.S. Constitution, he published FIFTY ONE ESSAYS in SIX MONTHS! That’s what I call Hamilton Drive. So what do you do when YOU are the one who feels nonstop? When YOU don’t feel like enough? When YOU have the Hamilton Drive? Here’s what I do to make sure I feel good about what I’m doing, while still staying hungry for more. I could have been left with only my own thoughts to ruminate. But this is a feedback loop, remember. After the presentation, half the room came up to us to say how much our presentation moved them, made them think differently, and gave them inspiration to take action in their careers. I listen to that feedback closely so I know what’s working best. 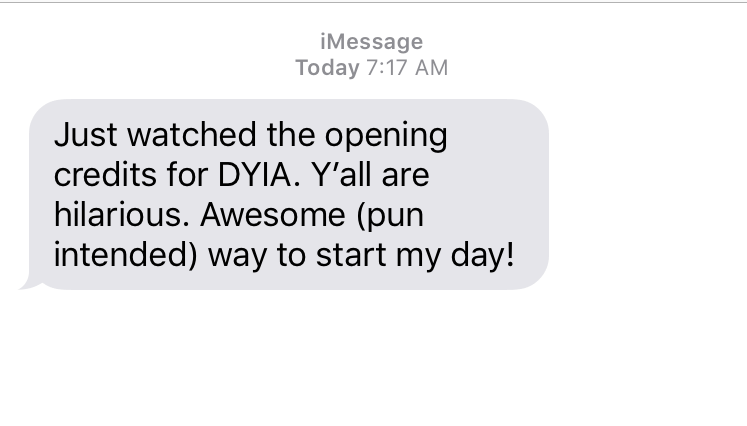 This feedback loop let’s me know that, even on what I feel like is my worst day, I’m still able to help others, and the specific areas where I’m strongest. The things that don’t get mentioned I know I need to improve. It gets me out of my head, makes me feel good, but pushes me to keep going. It’s a feedback loop. It allows me to take a step back and say, ‘Yes–what I’m doing is working!’. I can score that against other feedback to know, again, what is most valuable, and what needs improvement. My email newsletter is another feedback loop I’ve developed. I encourage my tribe readers to write back to me with an answer to a specific question I pose. In the instances where I hear crickets, I know that email didn’t really hit like I thought it would, which makes me crave the feedback loop even more, and pushes me to keep going so I can get it the next time. Nearly everything I do where I’m aiming to improve, I have some sort of feedback loop in place. The great thing about feedback loops is they are just that, a loop. It’s not a feedback line, meaning you don’t start and then just stop. You make it continuous. You don’t struggle with competing against yourself all the time, but you still retain your Hamilton Drive in order to generate more feedback loops. 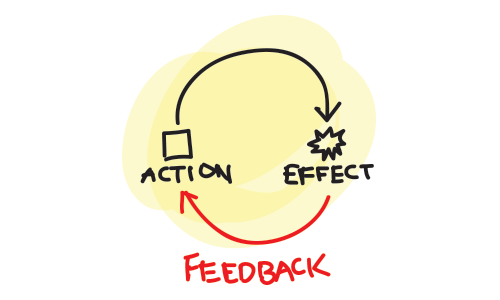 How can you implement feedback loops into YOUR life? After they tell you, offer up your opinion of what they do best. Then, ask if they want to make it a weekly practice. I just published this article on my blog/Linkedin/Medium, and I think you’d enjoy it. Would you mind reading it and replying back with what you found most helpful? It’ll help me for the next time I publish an article. The next time you write an article, send it to 3 new people and ask the same question. And so forth. Turn your blog/Linkedin/Medium posts into a newsletter, and ask for responses from your readers, just like I do. If you have the Hamilton Drive, and feel the pressure of competing against yourself, implement feedback loops to take off the pressure and keep the Hamilton Drive pushing forward. Rajiv Nathan believes everyone deserves to be heard. He is the Cofounder and Ambassador of Awesome for Idea Lemon, helping you Discover Your Inner Awesome and build a career you love. Get their 5 Questions That Will Define Your Life here!